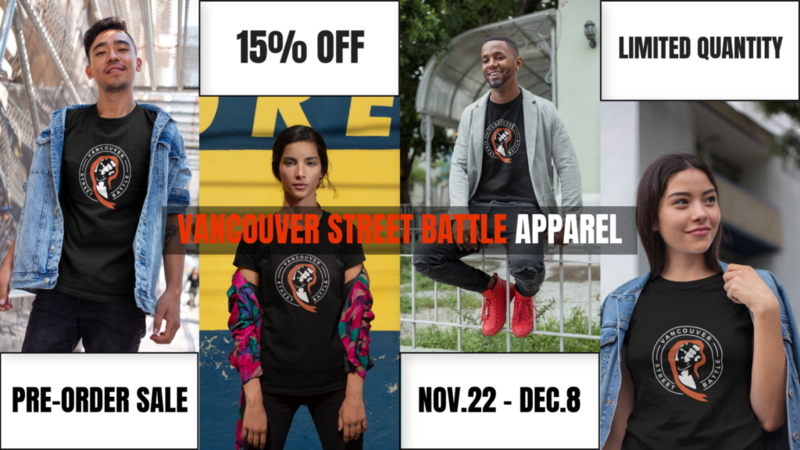 Home / Blog / Vancouver Street Battle Apparel Is Finally Here! 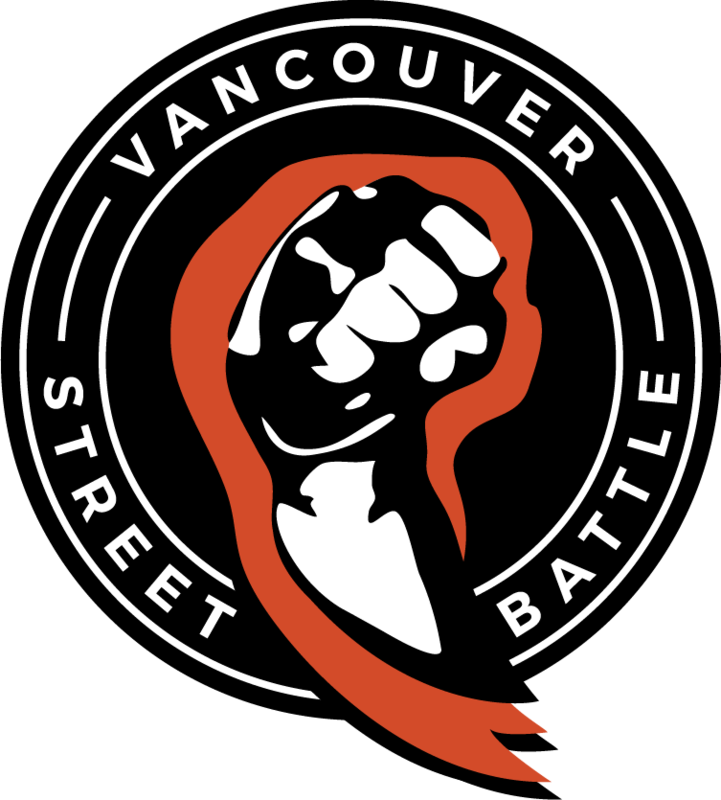 Vancouver Street Battle Apparel Is Finally Here! Vancouver Street Battle is proud to announce our very own apparel line up. 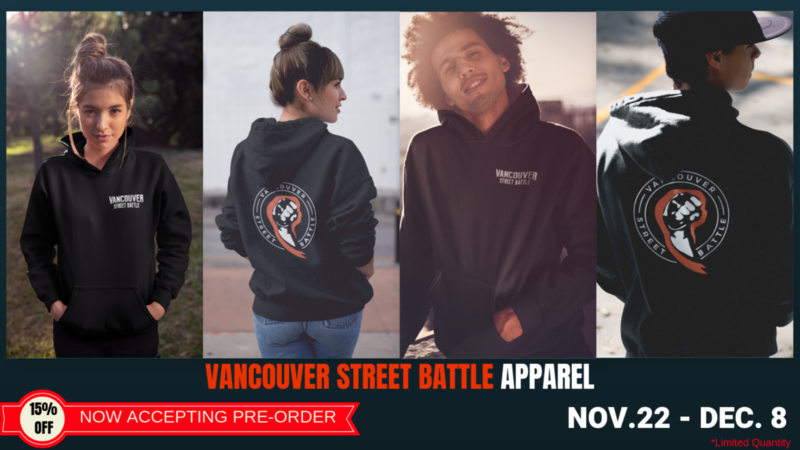 We will have Vancouver Street Battle hoodies and t-shirts for pre-order from Nov 22nd to Dec 8th. In addition, every pre-order sale will receive 15% off. Payment can be made either in person at our venue or through paypal at vanstreetbattle@gmail.com. (People planning to purchase through paypal will need to email vanstreetbattle@gmail.com on what you want to buy, your size, and your paypal email. An invoice will be sent to your paypal after confirmation). Pick up will be at VSB as delivery is not available at this time. All orders will be finished and ready for pick up on Dec 12th 2018. Hurry now as we will have limited quantities.